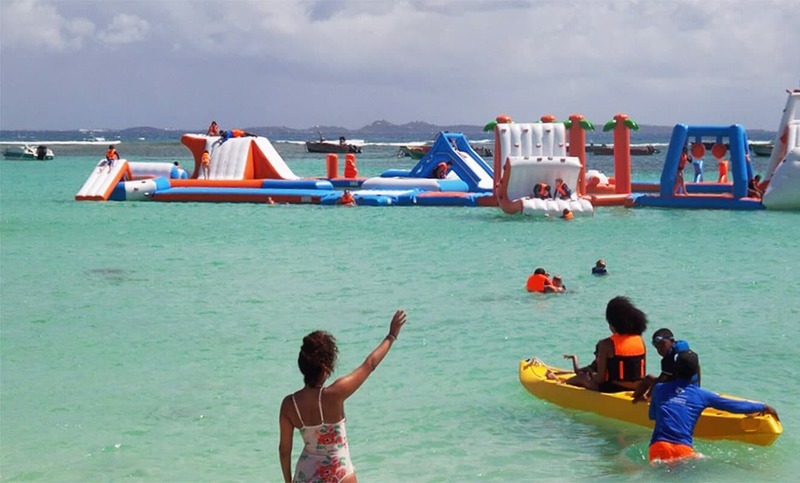 The “Aqua Park” is the largest inflatable water park of its kind in the Caribbean and is made up of Anguilla’s orange, white and blue colours. 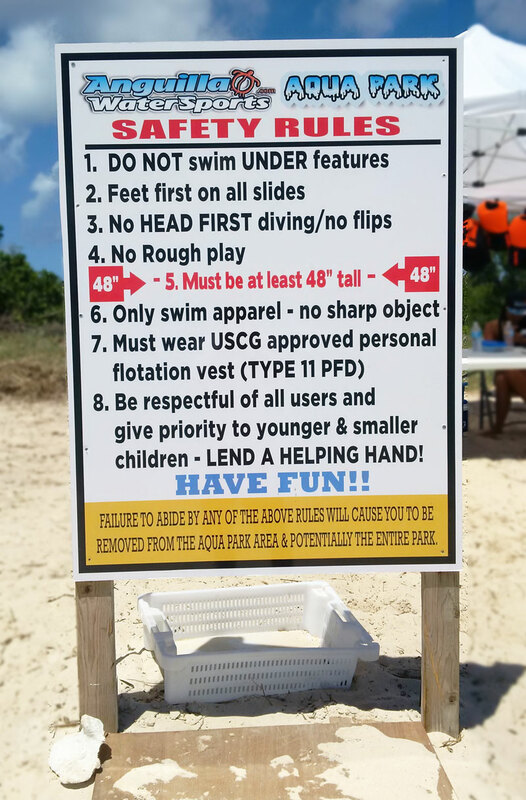 The Aqua Park is located at Cove Bay Beach in front of the old Smokey’s Restaurant. 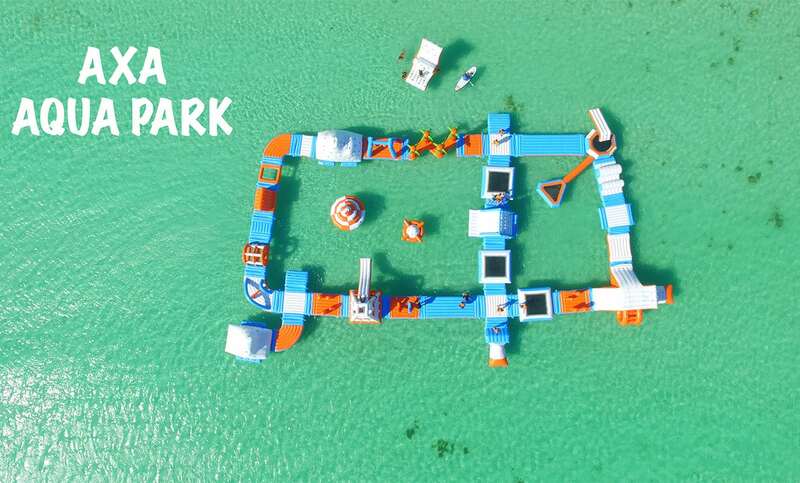 The Aqua Park also includes Kayaks, Stand Up Paddleboards, Snorkel Gear and Floating Party Islands. These can be rented on site. 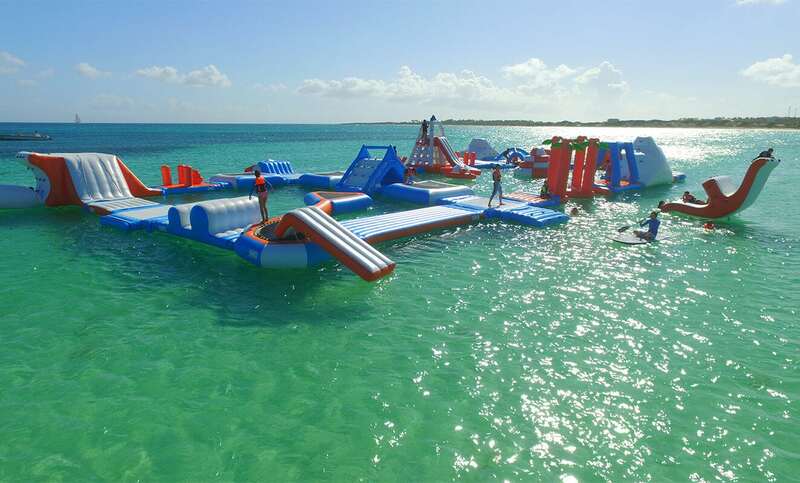 Great prices make the Aqua Park fun for everyone! 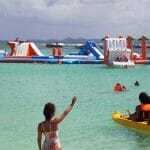 We offer excellent daily or half daily rates at our aqua park. Resident of Anguilla? Simply present a valid Anguilla picture ID and get Resident rates. 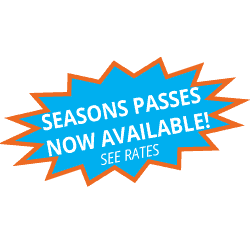 Annual Resident Passes are also available. 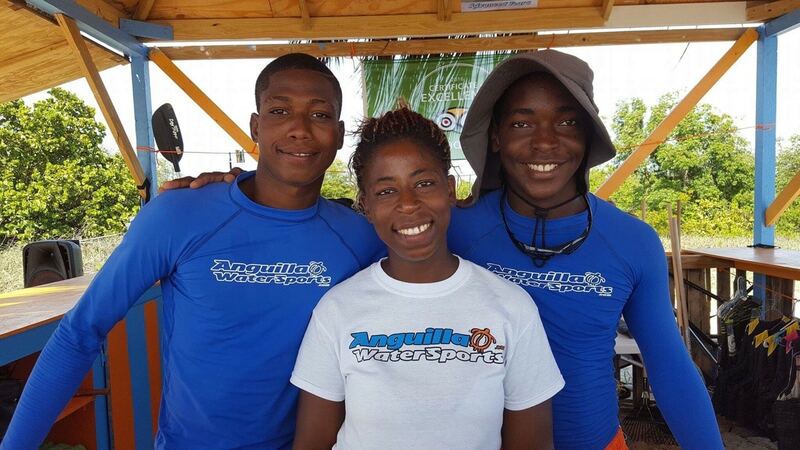 Simply contact us at 264-584-1204 for details or come visit us at our Aqua Park down at Cove Bay. Planning a Private Event or Birthday Party? Contact us at 264-584-1204 for pricing and availability. LOCAL RATES OFFERED TO ANGUILLA RESIDENTS, LOCAL SCHOOLS, LOCAL CHURCH GROUPS, LOCAL BIRTHDAY PARTIES AND PRIVATE EVENTS. CALL 264-584-1204 FOR MORE INFORMATION AND SPECIAL RESIDENT PRICING. 10-20 people = 10% discount! 20+ people = 20% discount! Must be prepaid in order to get this special discount. We accept cash, check, or credit card Call 264-584-1204 to book. – Must be 20+ students or more to get this special pricing. – $20.00 USD – Per Student. Must be prepaid in order to get this special discount. We accept cash, check, or credit card. Call 264-584-1204 to book. Be respectful of all users and give priority to younger and smaller children – LEND A HELPING HAND! 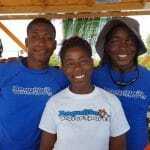 Activities for children in Anguilla are somewhat limited, therefore at Anguilla Watersports we strive to come up with new ways for children to be outdoors and to experience their natural environment, and what better way than on the water developing their swimming skills whilst interacting with other children? 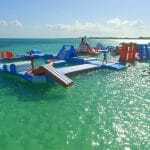 This isn’t just a water park, it will be an asset that will give every Anguillian child and family – as well as anyone visiting the island – a renewed interest in getting into the water, in addition to having a blast out there in complete safety.